Use your talents for profit. Do you like dancing? It’s never too late to start making extra cash from your hobbies. And if shifting careers is too daunting for you, do it on the sidelines. You can conduct dance lessons after work, on the weekends and on holidays. All you have to do is just get the word out there and start! Capital: You need about P20,000 to become a dance instructor. Most of it will go to enrolment fees for dance lessons. 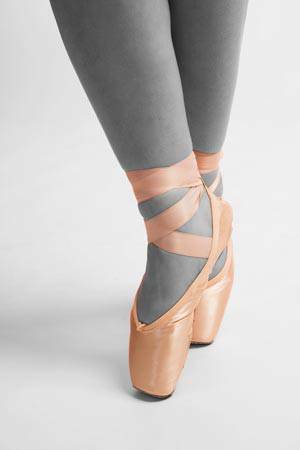 Getting at least six months of dance training, particularly in ballroom dancing, is ideal. Materials: As personal packaging is crucial to success in this type of business, you need to invest in new dancing shoes, shirts, slacks, and perfume or cologne as the case may be. It is also advisable to have dance music CDs of your own. Workforce: Initially, you need not hire staff. When you are ready to put up your own dance studio, however, you may need an assistant to take care of schedules and studio maintenance. Process: To go into this business, you need to have deep passion and talent in dancing and the skills to teach it. Add good personal marketing and inter-personal skills and you will be on your way to becoming a sought-after dance instructor. After undergoing a good training program, you can first work as an in-house dance instructor in a dance club. Once you have already gained confidence in your dance moves and in handling clients, you can start working on your own. Training: By enrolling in formal dance classes and attending its sessions twice or three times a week, you can become a competent dance instructor in four to six months. In dance, one should never really stop learning; even veteran dance instructors still take lessons in new dance movements. The types of ballroom dancing you need to master fall under three categories: standard, Latin, and social dancing. Standard includes waltz, foxtrot, Viennese waltz, quick step, and tango; Latin includes cha-cha-cha, rhumba, samba, jive and pasa doble; and social dancing includes the swing, reggae, mambo, bachata, and Argentine tango. Marketing: Word-of-mouth advertising is the best way to promote yourself in this business. You can also use flyers and e-mail campaigns as well as put up a website. In any case, when it comes to choosing a dance instructor, people tend to rely on personal recommendations and referrals. For this reason, says veteran dance instructor Monching Ducay, it is extremely important to maintain a good relationship with clients. Also, punctuality and good grooming are absolute musts. Looking for more part-time ideas? Click here.